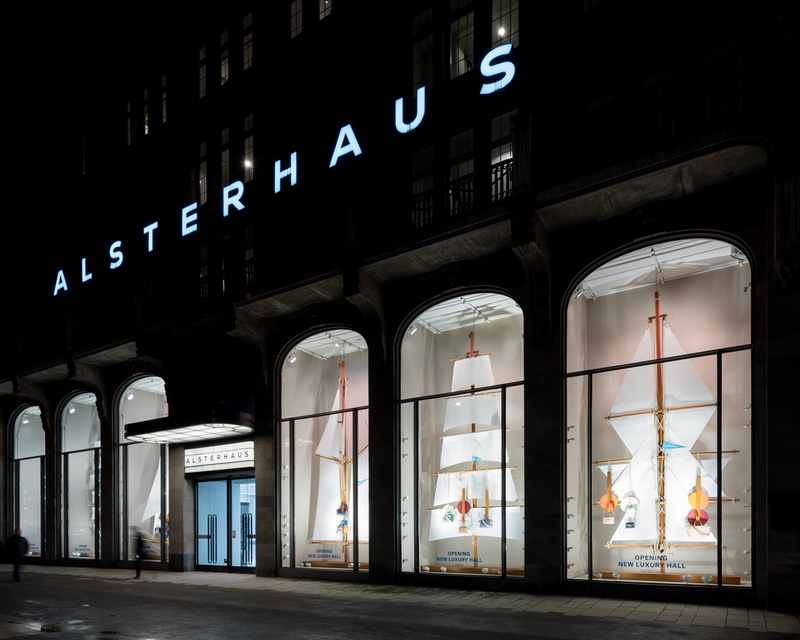 The Alsterhaus was built in 1912 in the center of Hamburg on the Inner Alster and has since been remodeled several times. The project focusses on the architectural quality of the house. 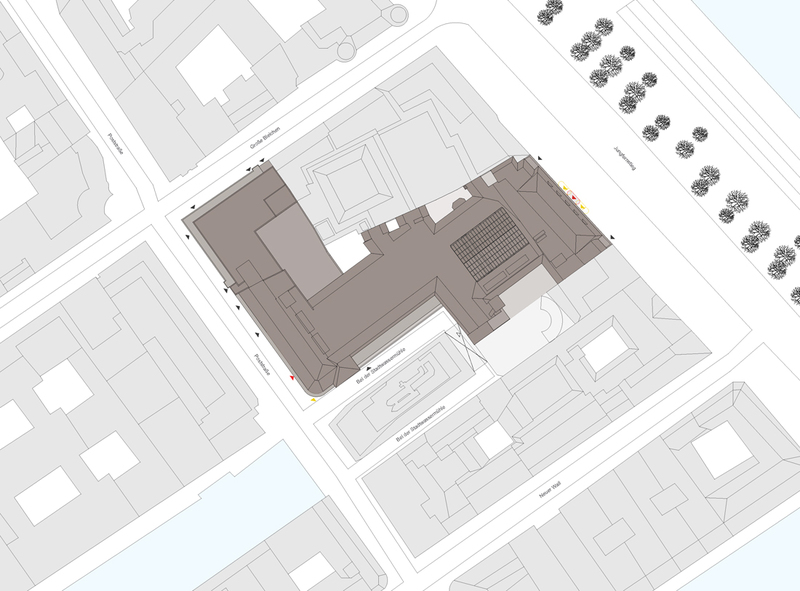 A unified and over-arching design teke effect by bringing the façade, which is under historical preservation, and interior changes that were not in line with historical preservation back together. 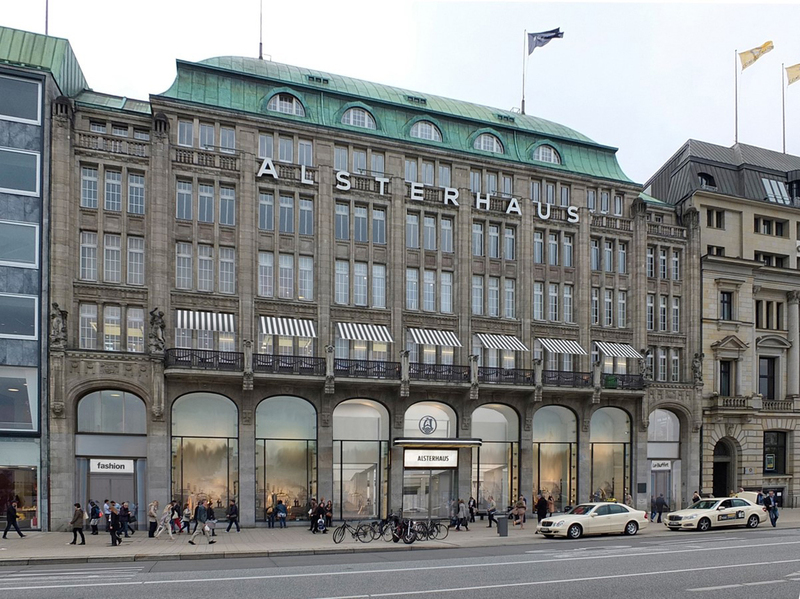 The balconies on the second floor will be utilized as a generous café overlooking the Inner Alster. This, along with the new façade illumination, creates a harmonious overall picture that emanates into the city. Additionally the entry at Jungfernstieg is moved back into the central axis, according to its original historic position. The entrance at the Poststraße is also relocated to align with the current boulevard’s façade line, when extrapolated from the street corner. The new circulation inside creates a better overview for the visitors. They can therefore stroll along a straight path through the house to the adjoining Luxury Boulevard. The architectural space is framed by profiled ceilings and walls. 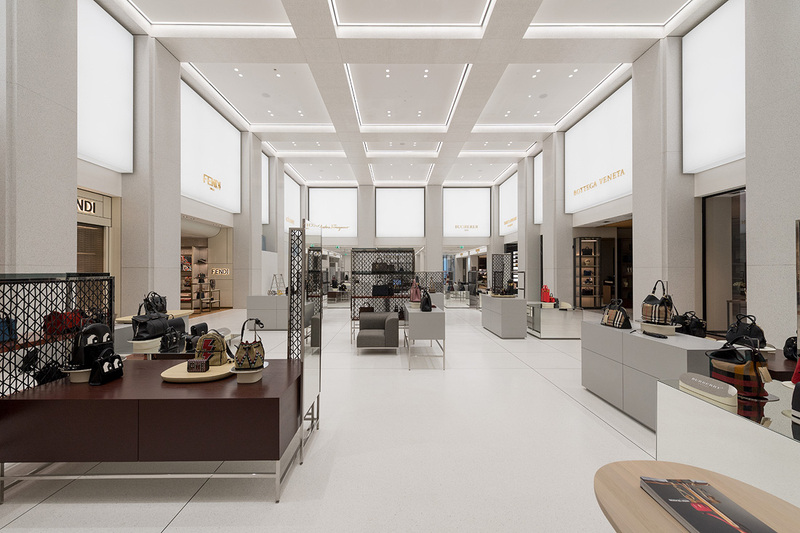 An impressive two-storey hall, the so-called Luxury Hall, forms a city-square and greets visitors behind the newly designed entrance at Jungfernstieg. 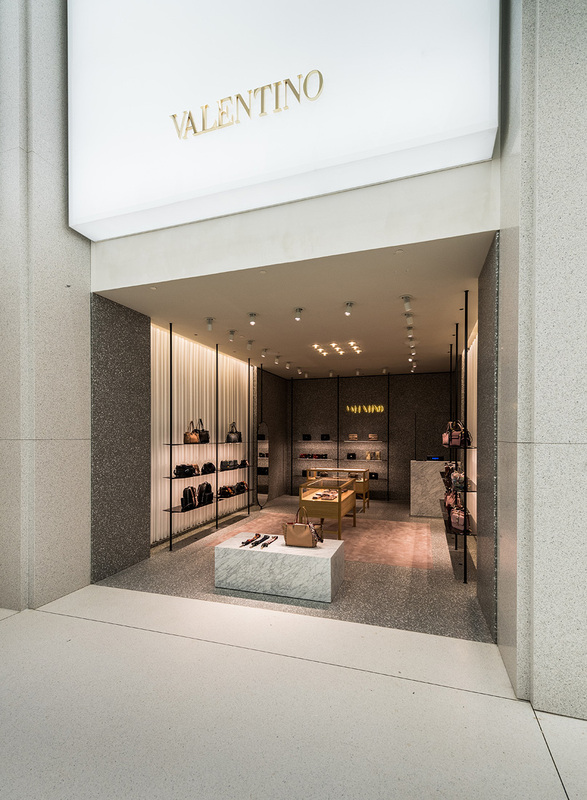 The hall forms the prelude to a large-scale luxury boulevard which connects the entries of both streets – Jungfernstieg and Poststraße. The quality of the space is increased by reducing the number of escalators from four to two. 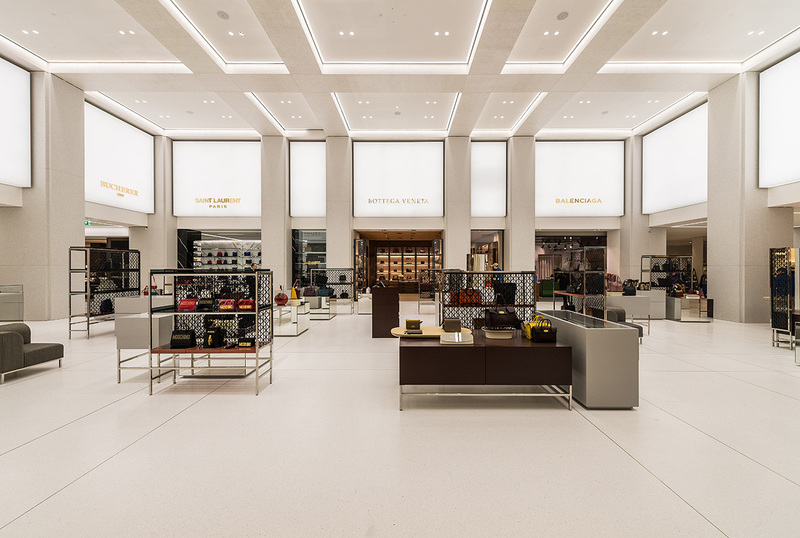 The customer thus receives a better overview as well as a more generous space and shopping experience. The design concept using terrazzo and stone follows an attitude that fits perfectly with Hamburg and the architectural history of the house.